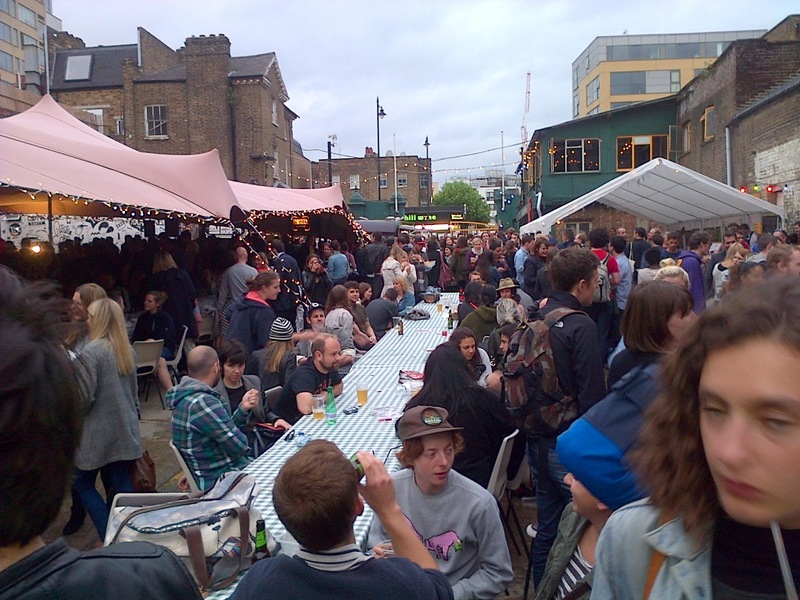 A couple of weeks ago, I went to Street Feast with a few friends of mine. We haven’t seen much of each other since graduation, so I figured this was a splendid opportunity to catch up over some scrumptious street food and drinks. It was considerably bigger and more crowded than I expected it to be. We even had to queue outside and go through security! Delish. I was a happy camper. 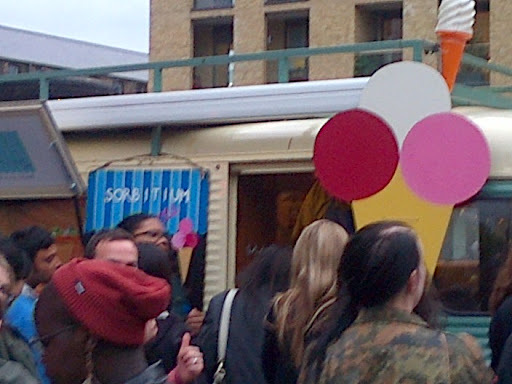 Ice cream van. They served sorbets, but I was feeling naughtier than that, and unfortunately there was no vegan ice cream available. Oh well! For want of ice cream, I headed to the veggie van for seconds. I had the most amazing dumplings, light and flavourful, with a generous plateful of edamame beans, which I joyfully sucked out of their pods as I walked around, and some caramelised peanuts on top. I added a smidgen of sriracha to my plate, just to try it, and was spewing fire for the next hour. Be warned. The bar was a very, very dangerous place… they served cocktails by the pint! I had a pint of mojito but couldn’t finish more than half of it. For a lightweight like me, that’s a lot. We headed home well after dark. 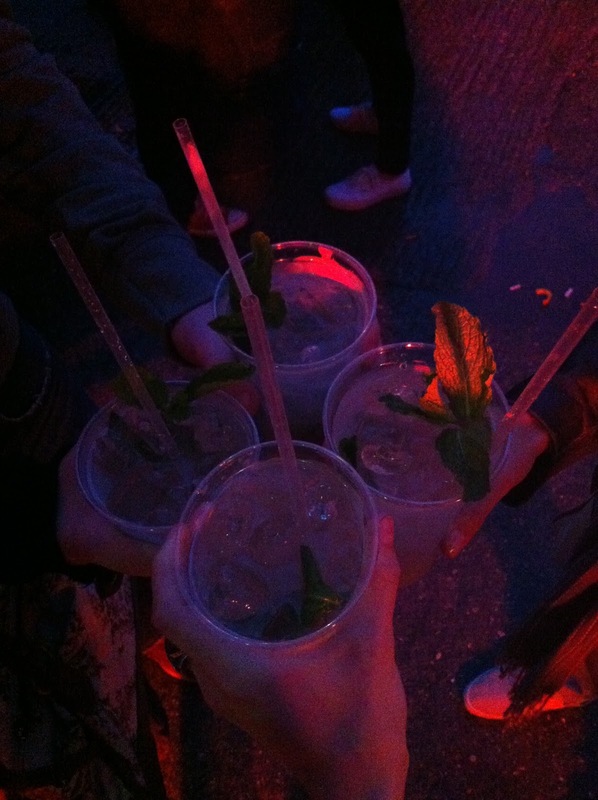 It was a great night out, just the way I like them – simple yet moreish food, the best company and a drink or two. 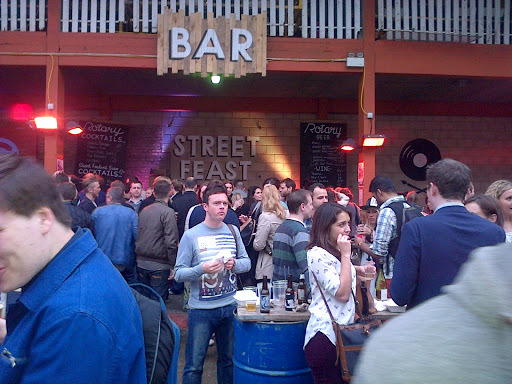 Keep an eye out for Street Feast next year, you don’t want to miss it. HOWEVER, all is not over yet. The Truck Stop is where you can find some of these lovely little food stalls and there are a good handful of veggie options. 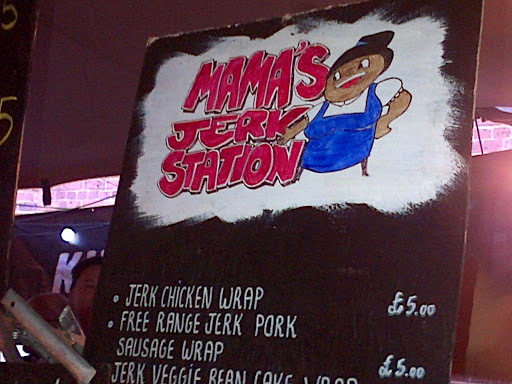 I am personally looking forward to the vegballs offered by The Bowler, the Jhal Muri Express, the matcha smoothies and vegetarian maki rolls from Maki Matcha, and of course, Mama’s Jerk Chicken stop for those insane bean wraps 😉 (I am sad not to see the gyoza truck on the list, but who knows, it may be there!) 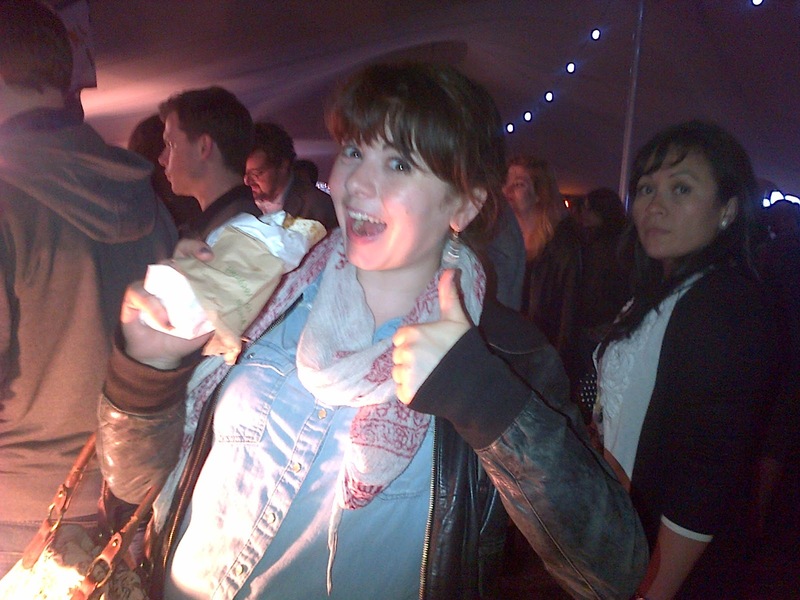 The next Truck Stop is on the 1st and 2nd of August – be there or go hungry! 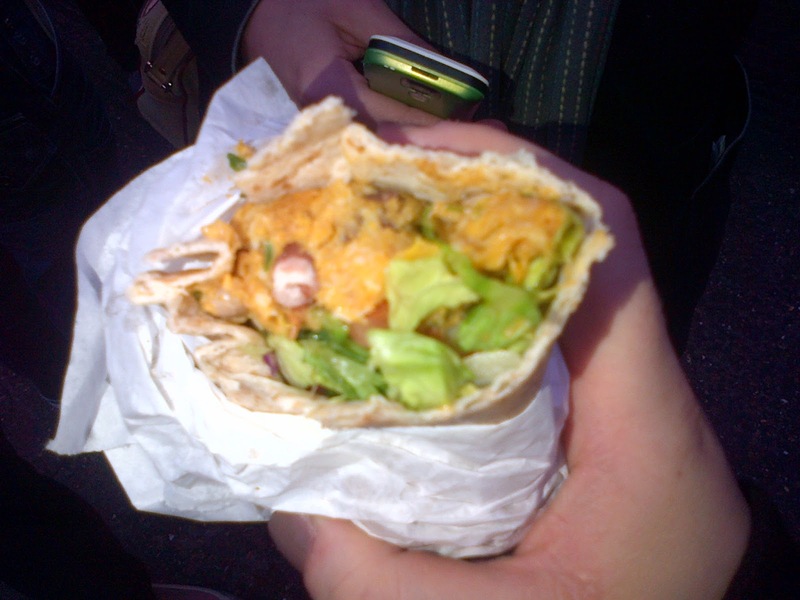 Love trying all the international food too- I was at London Upmarket today and had a delicious Ethiopian plate. Love the sound of the Truck Stop options, I think I'm going to have to go, on your recommendation! As a Londoner have you heard about “The Mighty Fork” http://themightyfork.co.uk/- new completely vegan hot dog company. They just started selling at Clapham market. I'm excited to try them . P.S. : oh and hey, if you're at the Truck Stop this 1st or 2nd of August, let me know! Tweet me or something on the day, it'd be nice to say hello to each other! Yes definitely 🙂 Maybe we should check out Mighty Fork together at some point if you fancied it. I'm pretty sure Ms Cupcake has a stall @ Venn Street too so that's dessert sorted!